ERP (Enterprise resource planning) as the name suggests is resource planning across enterprise. Resources typically include employees, vendors, suppliers, raw material, inventory, products, finances, machinery & other fixed assets. An ERP system in its typical form supports all functions of an organization like sales, marketing, manufacturing, quality, production, distribution, accounting, inventory management, material management, supply chain management and human resource management. As availability of resources is always a constraint an ERP system facilitates maximum utilization of available resources by bringing visibility for all functions across various departments while controlling cost, improving productivity, faster time to market and more certain & predictable outcomes. Resource planning includes forecasting, acquiring, scheduling and managing resources for growth and profitability. ERP is able to offer all its benefits riding on its core framework of business processes across departments mapped as workflows. It integrates all departments and establish mutual relationship which allow different departments to operate with synergy which otherwise work in silos. The power of ERP lies in its enterprise wide approach and commitment by core company management and heads of separate departments to follow structure & guidelines laid out by a industry accepted technology. It is the modular character in ERP systems that lets the organizations implement only the modules according to their need and that allows the flawless integration of organizational workflows and processes, better tracking, all round lowered costs and improved productivity. With the onset of cloud computing, ERP has become only more mission-critical. 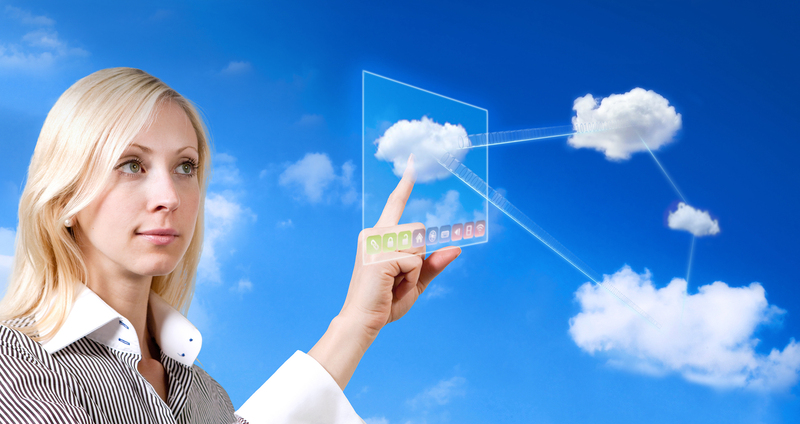 ERP system hosted on a Cloud environment is termed as Cloud ERP. Cloud is infrastructure including application, database & web servers hosted by a third party service provider. In short Cloud ERP means ERP software made available by a Cloud service provider through internet. For an organization Cloud based ERP simplifies adopting a ERP system as hardware & infrastructure is taken care by a third party expert. Whom is Cloud ERP meant for? This is meant for anyone willing to streamline his business in short time and have it running with fewer troubles. It especially is for SMEs. Why Cloud ERP is so popular? Faster implementation and operation: The reason why cloud ERP is taking its height is the fact that it actually is very useful. It can help your company get running in literally some hours when traditional methods are way more time consuming. Reduction on running and operational costs. Cloud ERP will totally remove the cost of local infrastructure for high spec functions. The hardware cost in nonexistent as the provider will host the software for you. This will lower the costs of maintenance, IT staff, energy, upgrades and lower capital expenditure. Mobility: One of the main features of Cloud ERP is mobility: you can work from anyplace and still see the increase in productivity. All you need for the work is a secure internet connection. Growth in security and reliability: Cloud ERP when hosted by a secure provider elsewhere creates a reliable system. It will have your data daily backed up, things will run as fast as possible with help of technology standards of state of the art server and switchovers as fail-safe to keep things running even when the primary server breaks down. This will give you total peace of mind. A recent research by Gartner research1 suggests a 23.3% yearly increase in revenues from cloud ERP from 2013 till 2014, and Gartner has also predicted an increase rate of 17.6% till 2018 in cloud ERP revenues. Also as per Gartner in a recent report called ‘Adoption of Cloud ERP, 2013 through 2023’, almost half that is 47% of businesses are planning to switch the cloud in coming five years from their core ERP System. SaaS-based distributing and manufacturing software will find an increase from 2013’s 22 % to 45% till 2023. As per MintJutras which is a leading re advisory and research organization that tracks ERP trends, a survey it did in 2013 shows applications based on SaaS will continuously increase from 22% of every distributing and manufacturing software that have been installed to a whopping 45% in next ten years. The catalyst in action for most part of this growth is predicted to be the ERP system adoption that is two tiered. Eventually, a strong Cloud ERP system, keeping all business processes and data centralized, is the pillar for making agile and competitive businesses. The features of Cloud ERP – quicker implementation, efficient storage of data and scalability are the reasons many SMEs are taking up this new method of deployment.